Say More With Kisses Deluxe Chocolates!! Looking for a special gift this holiday season? Kisses Deluxe Chocolates are the PERFECT gift to #SayMore to a teacher, friend, co-worker, OR yourself! The 20-count Kisses Deluxe package is exclusive only to Walgreens. Hershey’s Kisses Deluxe are a combination of roasted hazelnuts, delicate crisps and layers of rich, creamy chocolate. Walgreens Deals Worth Shopping For 11/8-11/14! Walgreens has some great coupons deals this week!!! AND-you can submit for a $1.25 Cash Back from Ibotta and when you buy VIVA Paper Towels OFFER!! Buy 3 Hallmark Cards get $3 Register Rewards Back!! There are $.99 cards this is working for, so buy these first!! 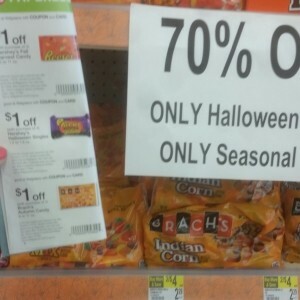 Walgreens-90% Off Halloween, 70% Off Candy, $1 Trail Mix, and $.18 Candy Corn! 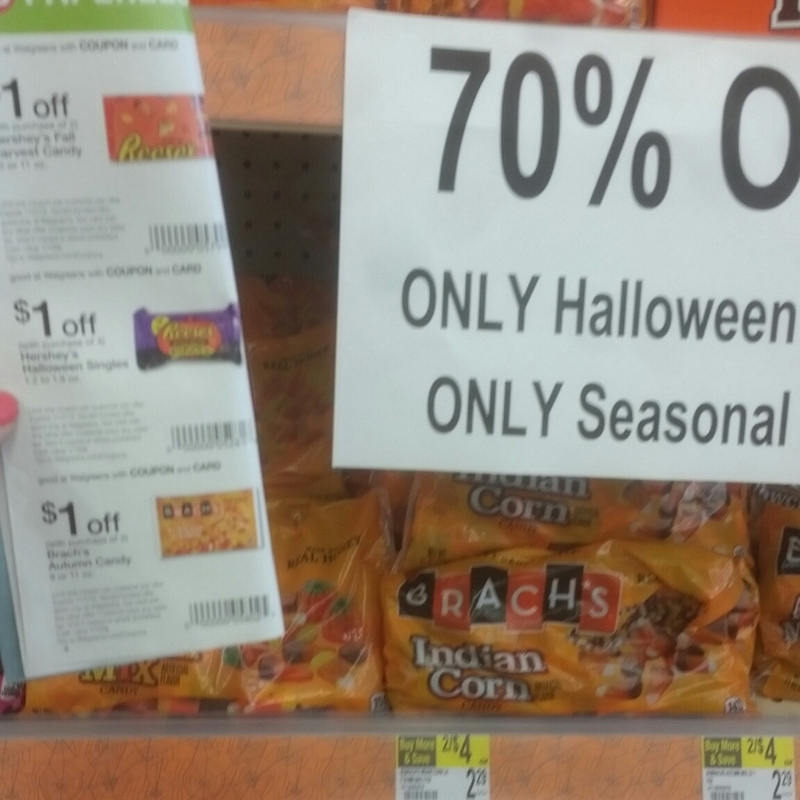 All the other Candy was 70% off too! NEW Printable Coupons For the New Month!! It is a new month, so you may want to check and make sure you printed the coupons you want/need! $1.50 Off Tazo Chai Tea or Latte Concentrate Printable Coupon! This is an AWESOME coupon!! $1.50 off Tazo Chai or Latte Concentrate! These are $2.99 at Target, so a 50% Savings!! Walgreens HOT School Supply Deals! So, you can grab some spare backpacks and some extra school supplies and put them away for later in the year!! Buying all of this stuff in December or January will cost you WAY WAY more than you can grab it cheap now! Grab These Drinks and Get Cash Back From Ibotta! I grabbed these drinks at Safeway today! Received $4.75 Cash back from Ibotta! Buy One Get One FREE Schick Razor Printable Coupon! Buy One Get One FREE Schick Razor Printable Coupon!! This makes for a great deal anywhere! They Quattro razors are $5.99 at Target! Dr Pepper 2 Liter Soda Only $.49 Each at Target! Here is a $1 off 2 Dr Pepper 2 Liter Coupon!